Real estate in Costa Rica is a sight for any seasoned investor, but there’s something for an inexperienced buyer, too. Whatever your background is, whatever your future holds, they don’t matter when your present is drawing you to the tropical lands of this country. You don’t need a reason, you don’t need a plan; sometimes the best risks reap the most unexpected rewards. Now, we’re not trying to convince anyone to enter into such an arrangement lightly. Buying a property is a big deal, let alone when it’s thousands of miles away on a different continent. This type of transaction is not for the faint of heart. Finding, going under contract, and closing on a property in your own country is daunting enough as it is. When you put a new government and an ocean in between, not to mention a different real estate system, and other details, you’re looking at an experience all of its own. Fortunately, with Dominical Real Estate as your guide, you can forget the barriers and focus on the end result. While we don’t need to concern you with every little hurdle, we will vow to keep you informed at all times. No matter how hands-on we are or how much of the reigns you give us, it’s still your deal. 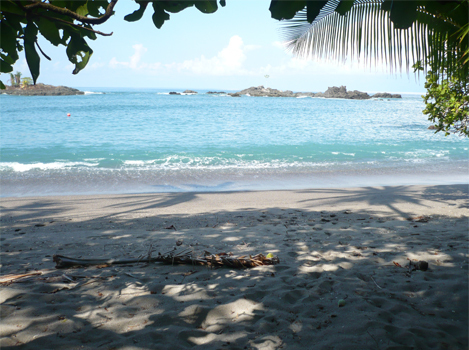 If you want to explore Costa Rica’s real estate on your own, yet have a safety net, contact us today. Prepare to see properties you never knew the like even existed. You want a beachfront home with gorgeous views, a top-of-the-line pool, and privacy, oh yeah, and at an affordable price? One customized house coming right up. Better than that, not all properties in Costa Rica are the same. This isn’t a market where you’ll go through pages and pages of listings only to see the same property in different disguises. Options are numerous, styles are unique, and the time is now.